CREATE YOUR OWN SUPPLEMENT WAS FOUNDED BY A SCIENTIST AND A TEACHER IN 2015. 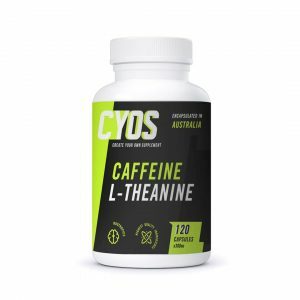 They originally formulated their own supplement as they could not find what they wanted in Australia. After discovering how easy it was to do this, they wanted to share this skill with the public and Create Your Own Supplement was born – to give people the ability to create great value supplements that are tailored to their own needs by offering wholesale prices on the highest quality ingredients and the tools needed to make this happen. The next step in the evolution of the company has been to support small to medium businesses in the development of their supplements on a large commercial scale. 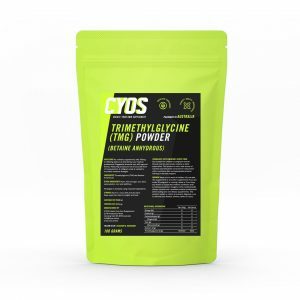 For those customers who just want to purchase their supplements already made, CYOS also provides a large selection of pre-made capsules and powders using only the highest quality ingredients. If you can imagine it, you can make it. Our online shop sells all the tools required to make your own tailored and customised supplements from your home. Shop Pure Powders and Pure Pre-Made Capsules from our online store. We have a huge range of the highest quality pure powders and pure pre-made capsules to choose from. Our capsules are made pure and are free of fillers and additives. Order custom made powder or capsule supplements from us in bulk. If you’re starting a new business or you are an existing business looking to expand your offering then this option could be for you. AT CYOS WE PROMISE TO CONSISTENTLY DELIVER THE HIGHEST QUALITY SUPPLEMENTS AND SUPPLEMENT CREATION SERVICE TO OUR CUSTOMERS. Regularly maintaining our Production facility to ensure it remains at the highest standard. Purchasing products of high quality ingredients from the best suppliers worldwide. Quality control of product through lab testing and in-house testing. Reviewing and improving processes and procedures regularly. Following our own ethics of maintaining honesty and integrity throughout our business at all times. Our products are created, packaged and stored in our production facility in Western Australia which is operated at the highest standards. We are fully licensed to process Supplements and Sports Foods by the WA Food Authority. This means we are rigorously audited to make sure we comply with the Australian Food Standards and have a complete food safety program in place. We have received the highest possible rating at every audit and inspection. All this ensures we deliver only the highest quality products and the lowest prices. We aim to source all of our supplements from suppliers based in Australia and the USA. When products are received at CYOS, they immediately go into our Quarantine area. This area is separate from all of our other supplements to avoid contamination. The new products are only handled by employees who are permitted to gather samples for testing. No products in quarantine are sent out to customers until all testing and documentation has been completed. When new products arrive, it is not uncommon that they are packaged in multiple containers or barrels. To ensure each supplement is of the highest standard a sample is taken from each barrel or container. A composite sample is then blended from these samples and sent to the lab for testing. There are multiple tests done on each supplement appropriate to the product’s chemical composition. A Certificate of Analysis (COA) is produced which discloses information of the tests performed and provides a summary of the results. All third party test results are reviewed and compared against the specifications for the product. The product is then deemed with a pass or fail. If a product fails to meet the specification it will undergo further third party testing. If one or more of the specifications fail the additional testing the product will be discarded. If the product passes all specifications, then we proceed with the in-house testing process. All products are sifted and inspected for foreign materials. If any foreign materials are found the product is moved to a designated area in quarantine for further testing. All testing results are then reviewed again to ensure each product has met the criteria before being released to manufacturing. For a product to be released for manufacturing it must pass all applicable testing. Once a product has passed these tests a COA is generated for the lot and it is moved from quarantine. A product is not moved from quarantine until a COA is generated.